"Project Driven Supply Chain Planning to Drive Profitability"
Project-Driven Supply Chain planning enables organizations​ to develop a single planning and execution strategy that enhances the accuracy of decision making and reduce the communication gap while working on the modern Supply Chain Management (SCM) tools. How to improve project delivery in supply chain management? What are the base process designs and solutions for all project driven supply chains? How to build forecast and develop profitability from Sales & Operations Planning? 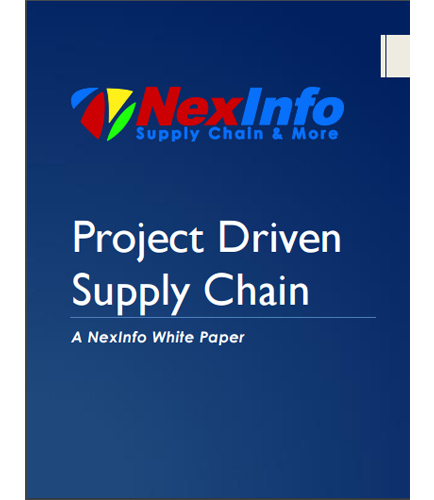 This whitepaper illustrates how project driven companies can benefit from the adoption of supply chain planning process. Improve supply chain delivery performance and improve project delivery in terms of both schedule and quality. To improve project delivery schedules and make costs more predictable. To improve margins by securing scarce material and resources early and allows to hedge against market fluctuations. Improving overall customer satisfaction and increases profitability.